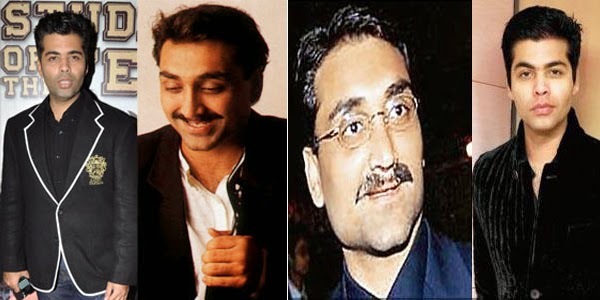 Raaga.com: Even at 43 there is someone on whom Karan Johar depends…Who is he? Even at 43 there is someone on whom Karan Johar depends…Who is he? From a brilliant film director to an astute film producer to hosting TV Shows and acting Karan Johar is a bundle of talent. However even as he turns 43 today there is someone in his life on whom this multifaceted personality demands. Who is the secret person whom Karan Johar regards as the corner stone of his life and before each and every decision he gives his opinion prime importance. Any Guesses ??? No he is not Shah Rukh Khan, who everybody knows is quite close to Karan. Nor is he, Amitabh Bachchan, whom Karan Johar reveres next to his father, the great film maker, Yash Johar. Well the person in question is Aditya Chopra, the outstanding filmmaker and son legendary filmmaker Yash Chopra.